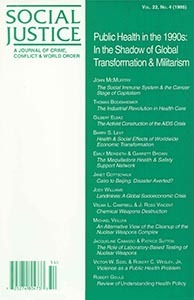 Public Health in the 1990s is an excellent compendium of some of the most important global public health issues that we currently face, including violence, occupational and environmental health, women’s health, AIDS, health care delivery, landmines, chemical and nuclear weapons, and nuclear waste cleanup. Among the contributions are articles by American Public Health Association former President Victor W. Sidel, M.D., as well as by its President-Elect, Barry Levy, M.D., M.P.H. Jody Williams subsequently won the Nobel Peace Prize for her work on landmines. 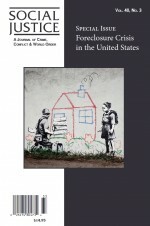 This 175-page book will serve as an inexpensive classroom reader. It is also a reference document, teaching tool, and a source of inspiration to social activism. Janet Gottschalk, Cairo to Beijing: Disaster Averted?